AWS Access Key ID: AKIAIRQXMQUDDUCV7TJA. You are submitting requests too quickly. Please retry your requests at a slower rate. Aleksei Yuryevich German was the winner of the prestigious Achievement in Directing at the 2015 Asia Pacific Screen Awards for ‘Under Electric Clouds’, Aleksei German has been taking out awards across Europe with several films over the past decade. ‘Under Electric Clouds’ (Russian Federation, Ukraine, Poland, 2015) is a spiritual and existentialistic look at the state the Russia is in 2017, a century after the communist revolution. It is a gloomy look at the future with the world is on the brink of yet another world war. It won the Silver Bear at the Berlin International Film Festival in 2015 for Outstanding Artistic Contribution for Cinematography. Aleksei German is the son of famous Soviet and Russia film editor, Aleksei Yuryevich German (hence in Russia he is often called “Aleksei German-junior”) and a screenwriter Svetlana Igorevna Karmalita. 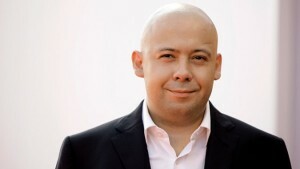 He finished studies at the Gerasimov Institute of Cinematography in 2001 and worked on “Lenfilm” film studio.